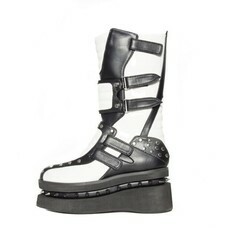 Storm trooper platform boots in black or white polyurethane with quilted sections, and flat studs. A surround of spikes highlights underneath the unit sole. Five Velcro straps. Heel height is about 2.5". 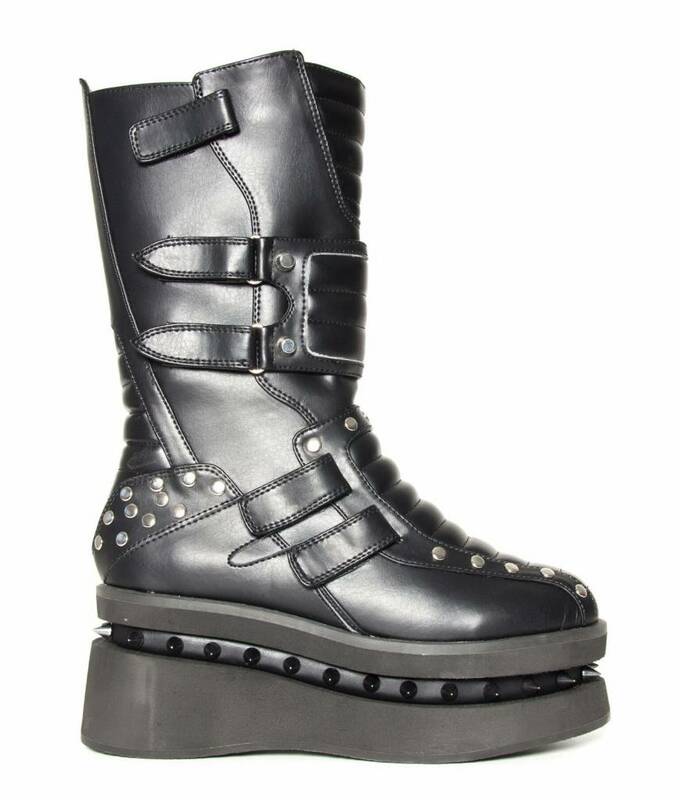 All man-made materials, 100% Vegan, even the glue. 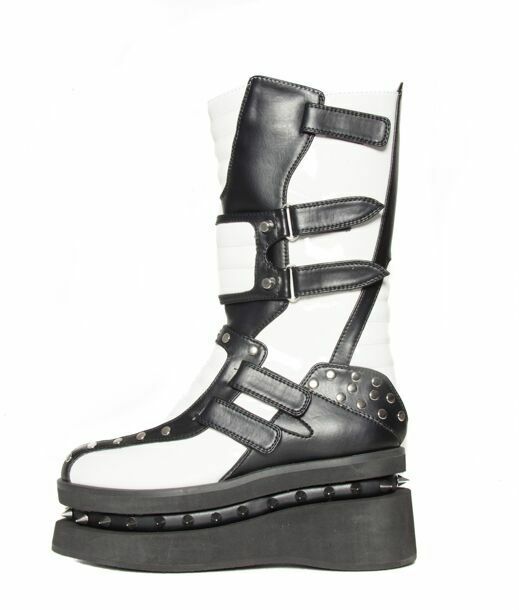 Unisex styling, although sizes are Women's foot size.